¢ Kansas is 9-0 for the first time since 1908. 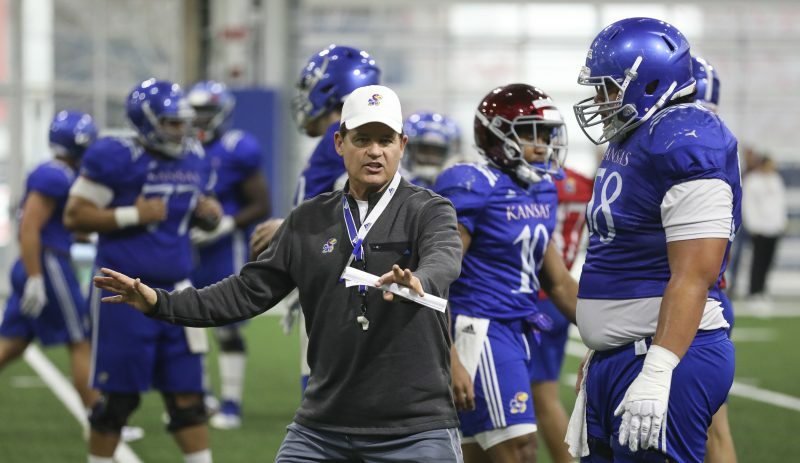 If KU wins next week at Oklahoma State, the Jayhawks will be 10-0 for the first time since 1899. ¢ With Missouri’s victory over Colorado, the Big 12 North championship is a two-team race. Kansas State and Colorado can only tie Kansas in the standings, and the Jayhawks have the tiebreaker having won both head-to-head games. Nebraska and Iowa State, meanwhile, both have five conference losses and cannot catch Kansas. ¢ The Jayhawks’ 76 points was the third-highest scoring output in program history. They scored 86 in a 1947 victory over South Dakota State and 83 in a 1923 victory over Washington (Mo.) University. Saturday’s output was the most KU ever has scored in a conference game. 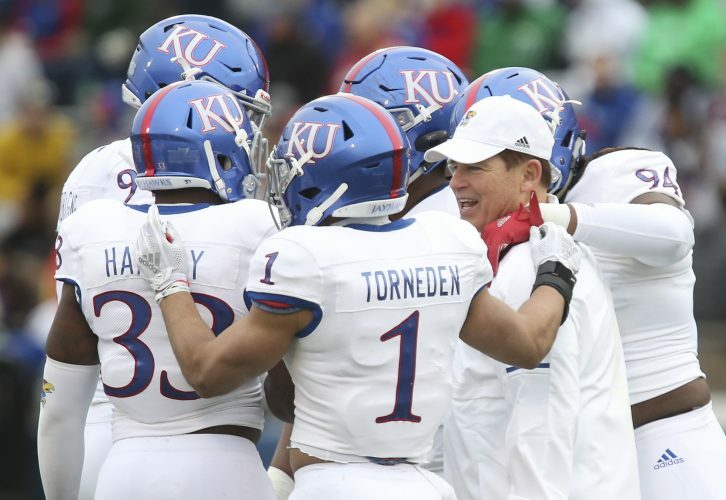 The record was just a month old, though – KU’s 58-10 victory over Baylor broke a 60-year-old record before it was one-upped against Nebraska. ¢ Kansas led 48-24 at halftime Saturday. A week ago at Texas A&M, the Jayhawks and Aggies were tied 0-0 at the half. ¢ Todd Reesing’s six touchdown passes give him 23 this year, a single-season KU record. The previous record-holder was Bill Whittemore, who had 18 in 2003. For the season, Reesing has 2,339 yards, 23 touchdowns and four interceptions. ¢ Representatives from the Sugar, Orange, Fiesta and Cotton bowls were in the Memorial Stadium press box Saturday. ¢ Marcus Herford had a solid day returning kicks, averaging 33.8 yards on six opportunities. He had two returns of 49 yards. 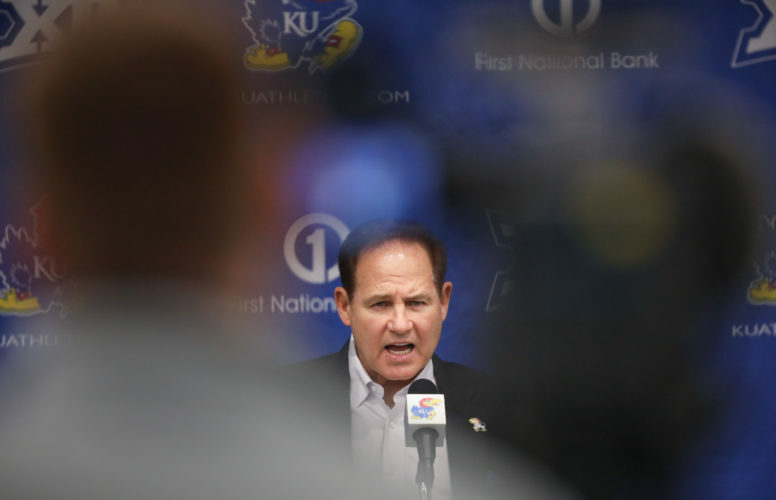 ¢ Kansas punted just one time Saturday, on the fourth play from scrimmage in the first quarter. Kyle Tucker received some serious pressure from the right side and had to alter his kicking motion. As a result, he booted a towering punt that ended up going just 22 yards. ¢ Brandon McAnderson rushed for 119 yards on 25 carries, with touchdown runs of two, five, one and six yards. His four touchdown runs tie a school record shared by June Henley, Tony Sands, Curtis McClinton and Charlie Black. ¢ KU had 34 first downs, tying an 84-year old school record. ¢ KU needed just nine games this season to break the school record for points scored in a season. 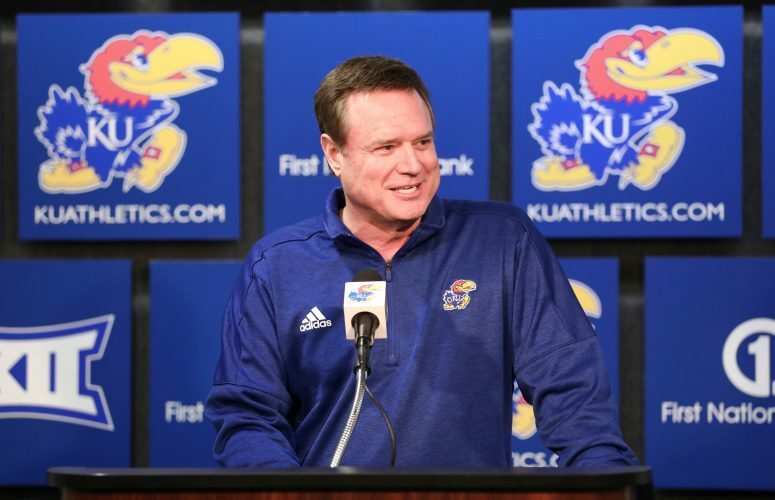 The Jayhawks’ 416 points shattered the old record of 384 set in 2003. ¢ Pregame festivities included a flyover and several skydivers landing on the field. One of the skydivers had a purple and gray parachute – Kansas State colors – and was booed as he landed. ¢ Referee Randy Christal, with 1:24 left in the first half, announced that “Kansas State” had called a timeout. A loud chorus of boos followed, and Christal came back on the public-address system to correct himself. ¢ KU cornerback Aqib Talib did not line up on offense once Saturday, the first time all year he has been exclusively on defense. Talib had four tackles, one for a loss, and a pass breakup. ¢ Joe Mortensen limped off the field in the third quarter favoring his right leg. He missed two plays and went back in, showing no ill effects. 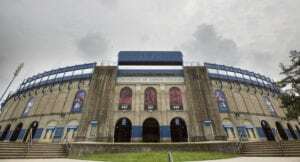 ¢ The Jayhawks are 17-2 at Memorial Stadium since 2005. ¢ Scott Webb’s 12 kickoffs covered 779 yards. He had four touchbacks. ¢ Attendance for Saturday’s homecoming game was estimated at 51,910, a school record. ¢ After Saturday’s action, three undefeated teams remain in the Bowl Subdivision: Kansas, Ohio State (which beat Wisconsin, 38-17) and Hawaii (which did not play Saturday). Previously unbeaten Arizona State and Boston College lost Saturday.